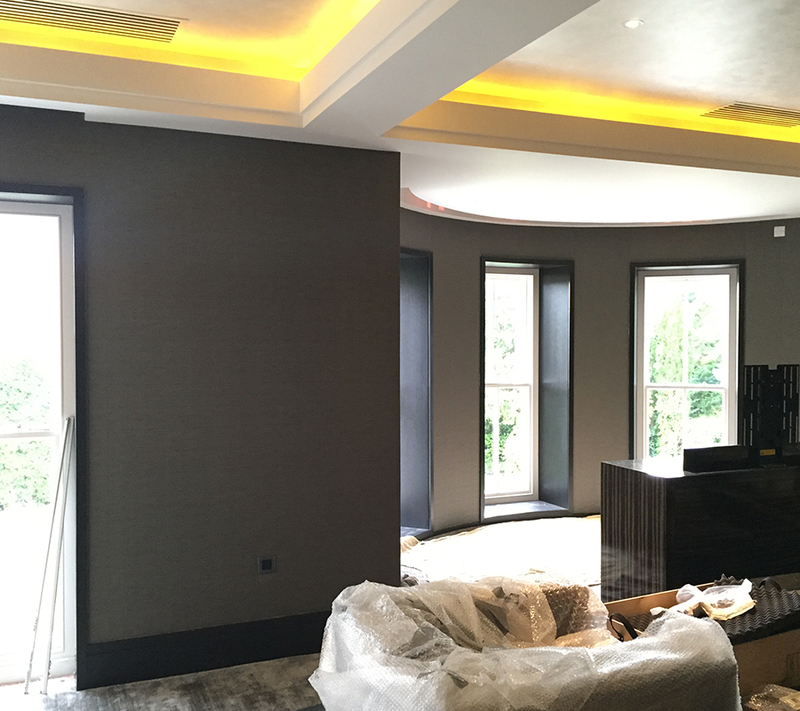 Fabric walling can be used to enhance and complement furniture and decorative objects. It brings luxury while also hiding any imperfections of the walls. It also provides sound and thermal insulation. 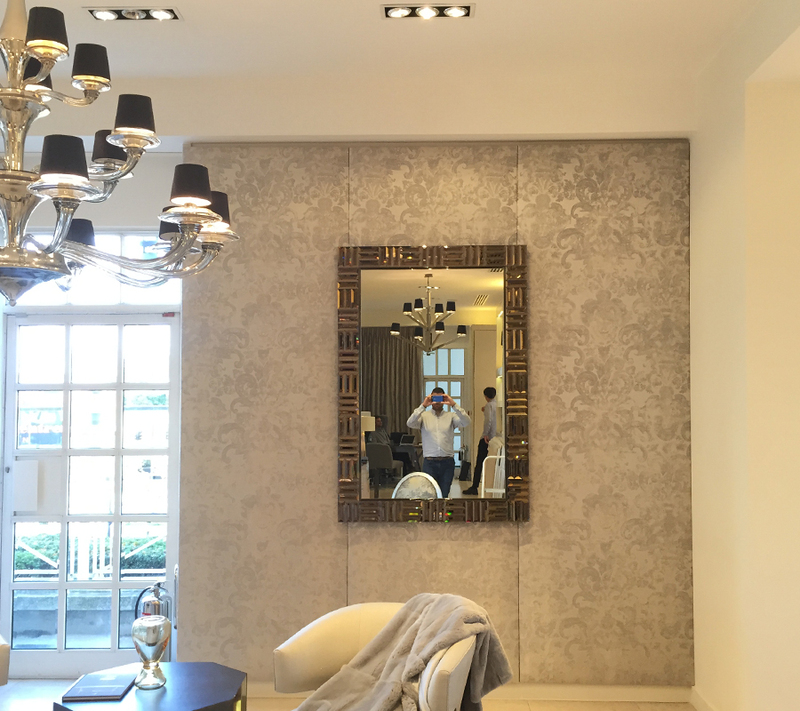 Inadam Furniture offers Fabric Walling which is a beautiful solution that can be used as an alternative to a paper or paint finish and is often a better option than having to smooth or prepare poor quality, rough walls. Our fabric wall specialists have been commisioned world wide to provide what is sometimes the most overlooked finish to rooms. 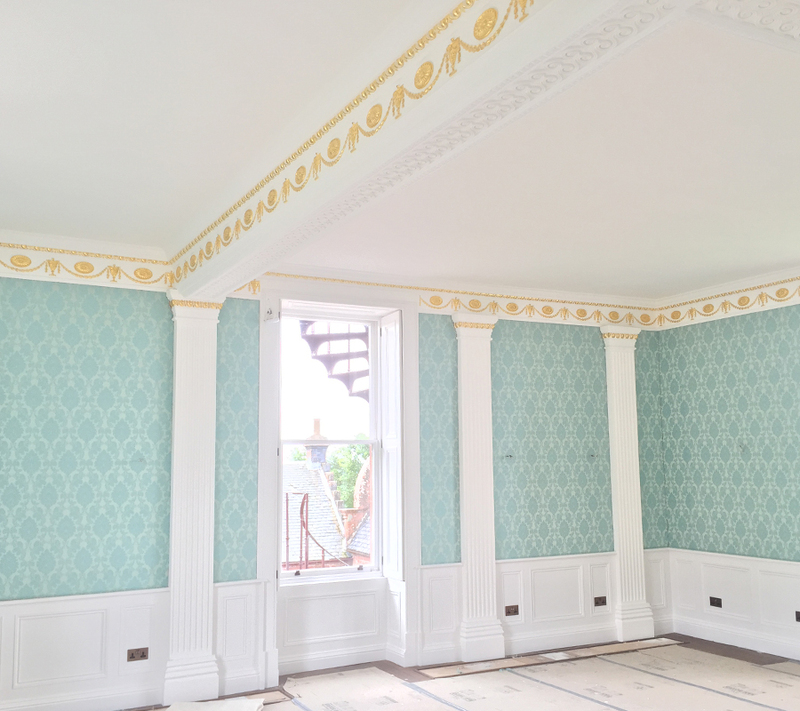 From Hallway Cloakrooms to Grand Halls, Fabric walling provides a finish to rooms paints and papers can never achive. A wood batten frame work is fixed to the existing wall. Cotton twill interlining is then fixed to the battens to provide the fabric with a soft support and to help with insulation. The chosen fabric is pre machined to the required sizes and then attached on top of the interlining. All plug and light switches are then brought forward. Finally, a braid, cord or double pipe trimming is attached in place concealing the edges. 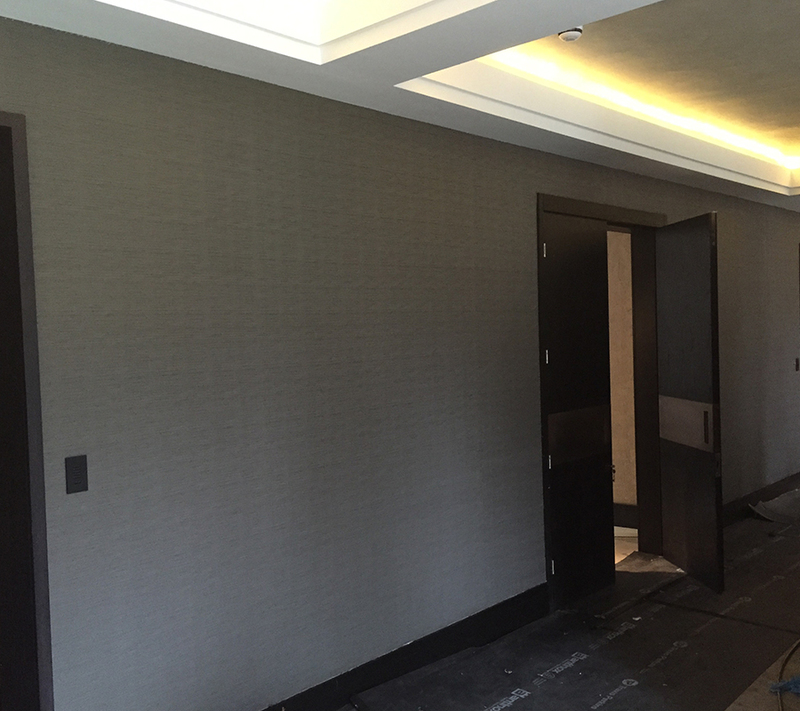 For more information on our fabric walling services please contact us. Here you can see a nice example of a traditional style of fabric walling. The walls are fitted with wooden batons for the fabric to be secured in place. With an endless choice of fabrics, fabric lined walls give an exquisite character to any room. 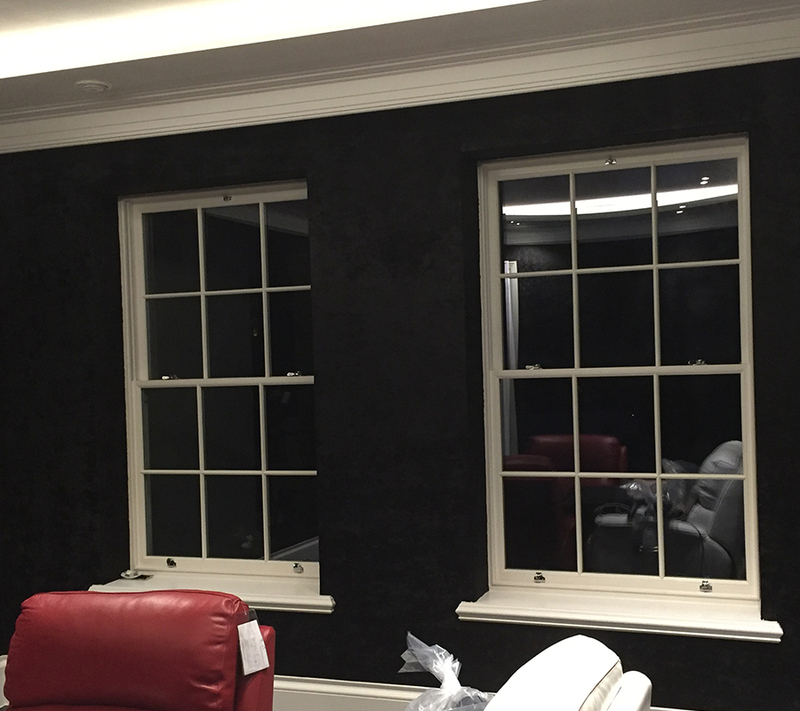 We can also supply the curtains in a fabric that will complement the walls. f you are after something a little more modern and contemporary looking we can fabric line walls in a fabric that will suit your own specific taste. We can offer a wide range of colours and fabrics to blend with any colour scheme you have in mind or are trying to achieve. 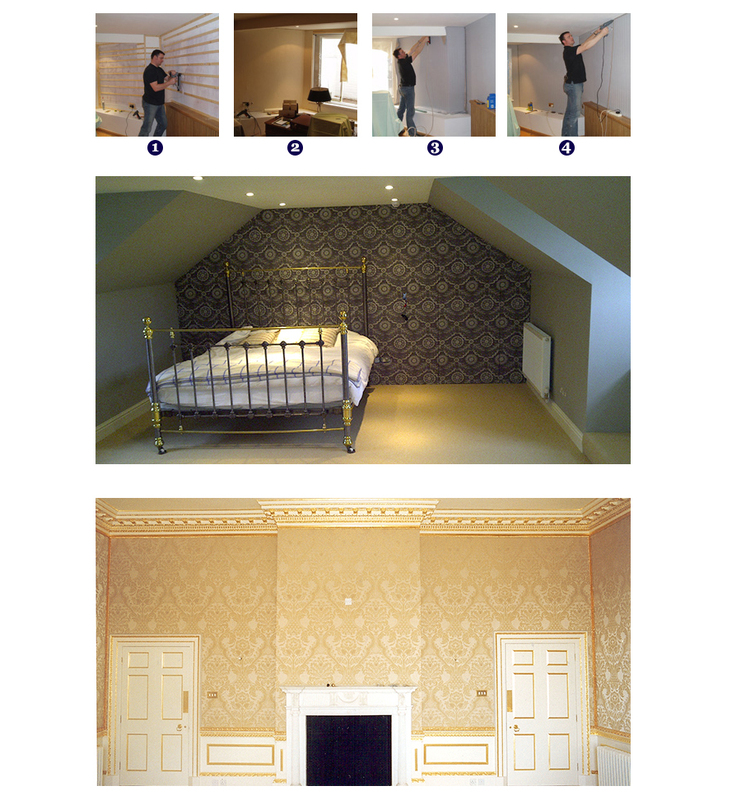 Our expert team, will guide you through process giving you various options available for your chosen room. 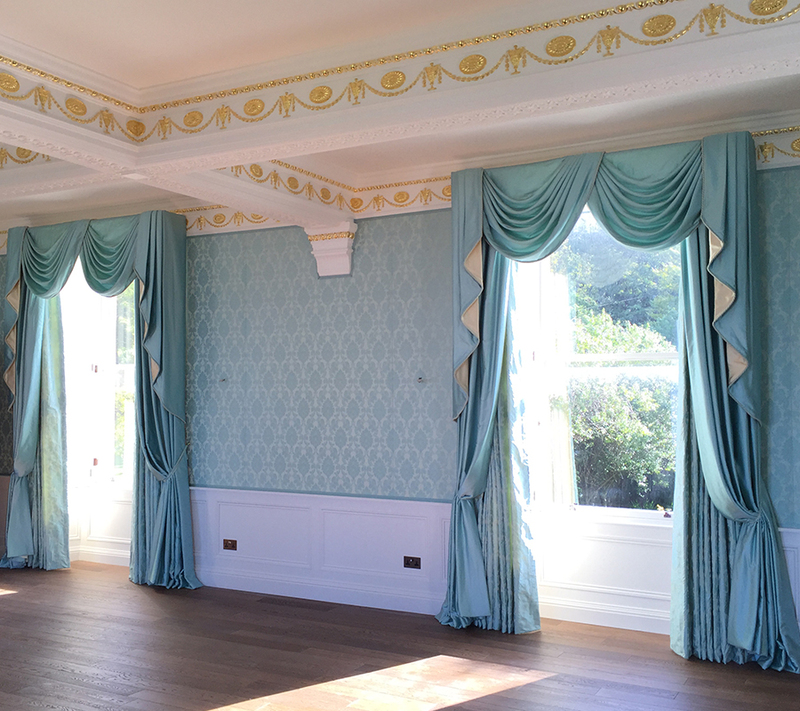 We can also supply modern curtains or blinds to complement the fabric walls. 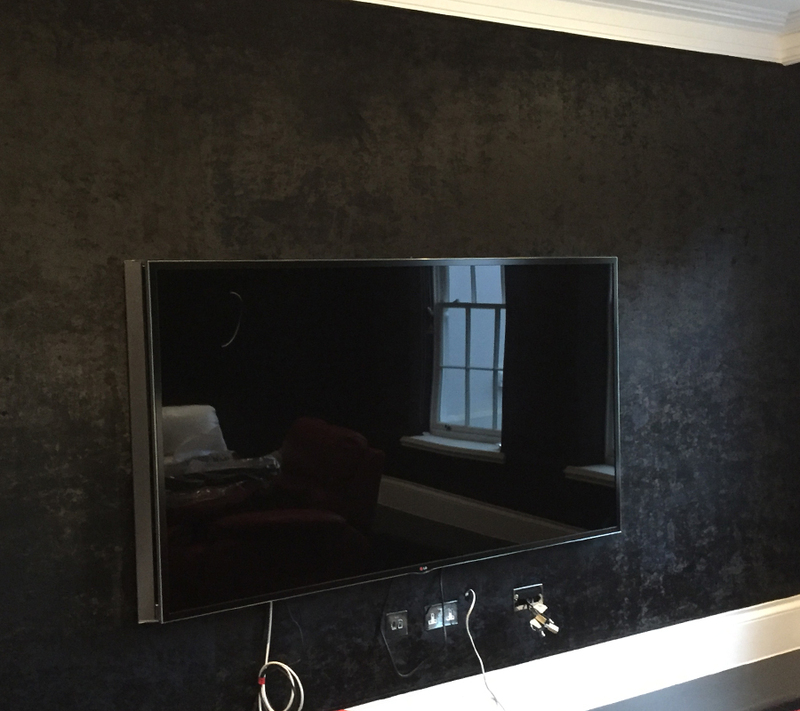 If you would like to have fabric walling but would prefer something a little different to an all over fitted fabric wall, we can offer upholstered panel walling. 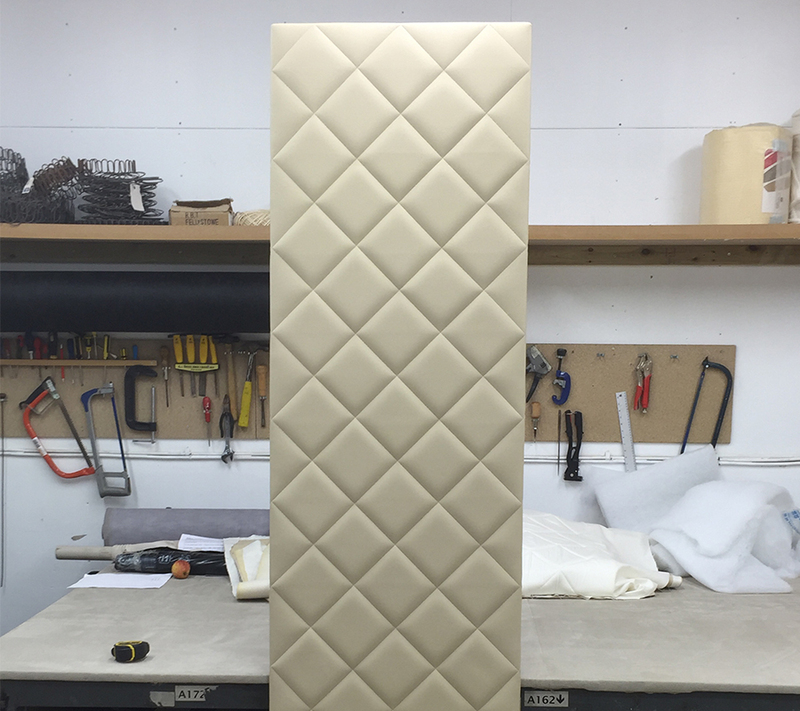 Panels can be upholstered in your choice of leather or fabric and then wall mounted to give you that deeper look to the upholstered wall covering. How is the fabric walling done?